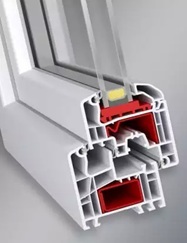 A 5-6-chamber featuring 70 mm profile depth and double seal system with possibility of application of 41 mm thick glass panes, with numerous possible profile combinations. 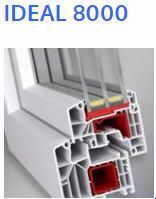 depth and double seal system with possibility of application of 41 mm thick glass panes with numerous profiles’ combinations. 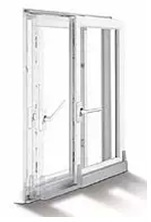 circumferential backstop gasket in the frame and sash as well as by the special security hardware guarantees the highest level of burglary protection. 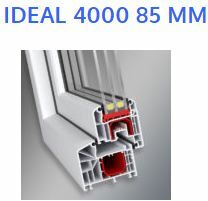 System IDEAL 4000 85 mm wide, external sealing. Designed for demanding users. Flexible and invisible seal in Round Line version and smooth surface make cleaning easier meeting the requirements of those cherishing their comfort. 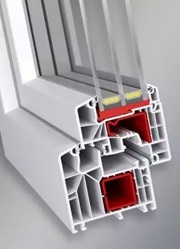 The large reinforcement chamber, shifted fitting groove, 15 percent slant of edge and extremly durable seals. Excellent insulation values ensure first-class living comfort with IDEAL 5000®. 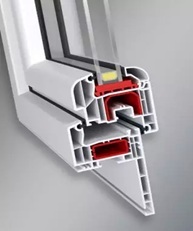 Top-quality profile systems made by aluplast promise burglary protection at the highest level and provide comforting security. 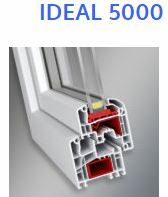 System IDEAL 5000 is an excellent insulation values ensure first-class living comfort with IDEAL 5000. 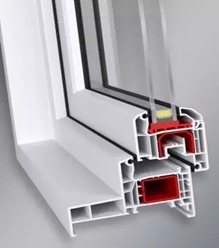 Top-quality profile systems made by aluplast promise burglary protection at the highest level and provide comforting security. 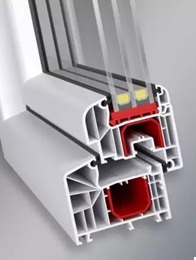 The new IDEAL 7000 system series is a 6-chamber construction featuring 85 mm profile depth and double seal system, ready for application of 51 mm thick glass panes. 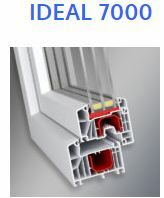 IDEAL 8000 is a window system with a profile depth of 85 mm. 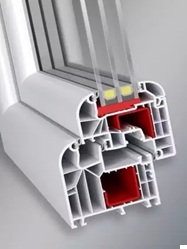 By combining a great profile depth with a filigree design, aluplast created an energetically and visually sublime window system. 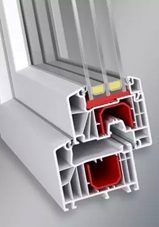 The great profile depth and six insulating chambers inside the profiles guarantee outstanding thermal insulation and comforting silence to make you feel at ease. the delicate classical profile design and steel reinforcements inside the profiles. 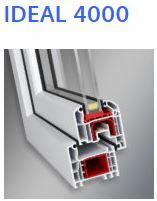 They ensure stability even of large window elements. 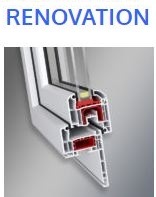 The renovation frames system is an ideal solution for replacing old windows. Installation of renovation windows is quick and easy. It does not require a complete dismantling of the old jambs, making the walls and facade remain without any demages. 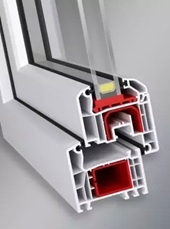 This prevents from time-cunsuming and costly renovation. Simply remove the old sashes, posts and hardware. 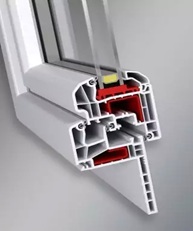 Jambs needing replacement do not have to be taken out. They will be completely covered with renovation fin from inside. From the outside the old jamb is covered by made-to-measure trims. The renovation windows features lowered face of profile allowing optimal illumination of the room. 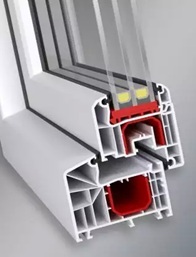 Therefore installation of a new frame over the old one and resulting reduction of the glazed surface of a new window does not affect user experience. 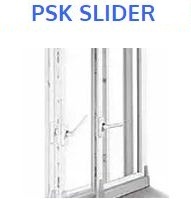 The aluplast sliding casement door system is a perfect solution for an optimal space utilisation in the aspect of door leading to the terrace or garden. 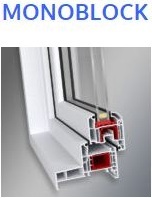 The applied mechanism allows to open the casement or simply tilt it. 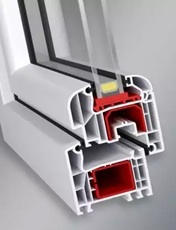 Due to the big glazing surface the interior ist full of light and keeps its exceptional character.